love how you angled this and what a cute image plus very careful placement of the sentiment-don't think I could have been that precise-you rocked it though! 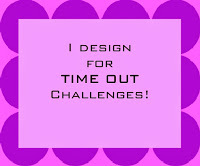 Great take on the challenge, two super cute baby cards! Your use of dies looks brilliant and I love the texture on the backgrounds! 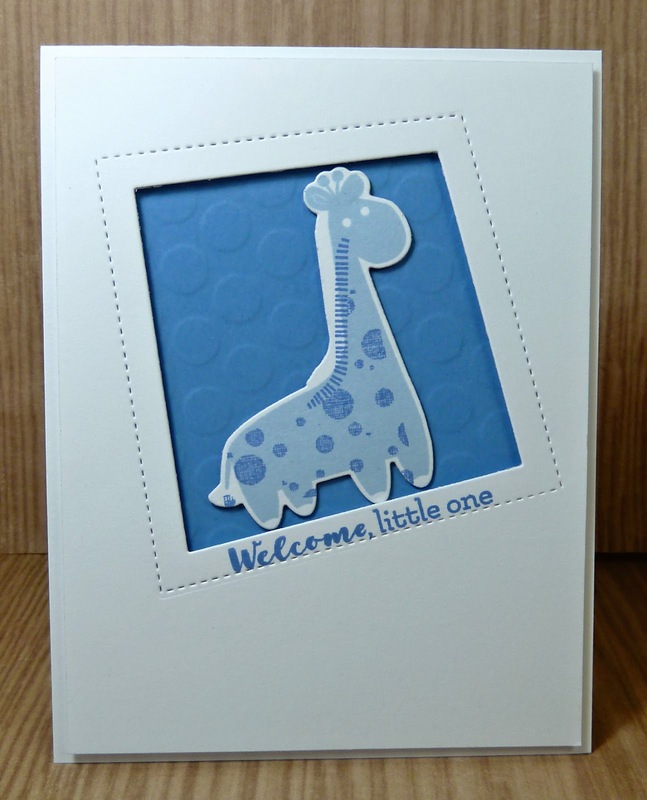 Such a darling baby card. How super cute. Hi Joyce! I hope you're enjoying the holiday season! Your baby cards are adorable! Love the embossed polka dots you added, super cute! Your little giraffe cards are darling Joyce! I just recently got this set and have yet to ink it up. Your cards are inspiring me to fix that soon. I'm happy to hear that your daughter is missing out on this extreme cold weather we've been having. I could do with a dose of 80 degree temps. Send some my way, please? Such a sweet baby card design... Love that sweet giraffe and the stamped sentiment inside the stitched frame. So sweet Joyce! 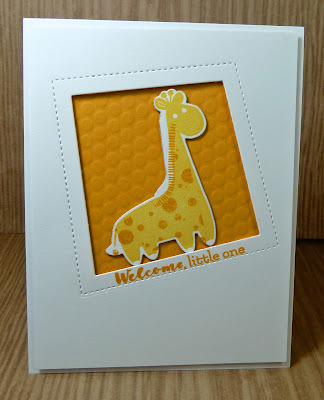 I agree with you completely - giraffes say new baby - especially cute ones like these :) I love the yellow colour scheme - I always struggle with the "gender neutral" baby card - and I love how you did it!